Hetzer • 15 KILLS • WoT Gameplay. Как пройти игру? Все видео пользователя: Best Replays World of Tanks. 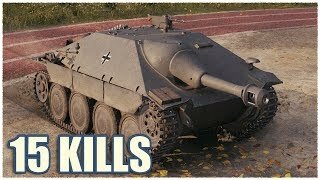 15 kills per battle World of Tanks on the German tier 4 tank destroyer Jagdpanzer 38(t) Hetzer.